Galaxies abound in this spectacular Hubble image; spiral arms swirl in all colors and orientations, and fuzzy ellipticals can be seen speckled across the frame as softly glowing smudges on the sky. Each visible speck of a galaxy is home to countless stars. A few stars closer to home shine brightly in the foreground, while a massive galaxy cluster nestles at the very center of the image; an immense collection of maybe thousands of galaxies, all held together by the relentless force of gravity. Galaxy clusters are some of the most interesting objects in the cosmos. They are the nodes of the cosmic web that permeates the entire Universe — to study them is to study the organization of matter on the grandest of scales. Not only are galaxy clusters ideal subjects for the study of dark matter and dark energy, but they also allow the study of farther-flung galaxies. Their immense gravitational influence means they distort the spacetime around them, causing them to act like giant zoom lenses. The light of background galaxies is warped and magnified as it passes through the galaxy cluster, allowing astronomers insight into the distant — and therefore early — Universe. This image was taken by Hubble’s Advanced Camera for Surveys and Wide-Field Camera 3 as part of an observing programme called RELICS (Reionization Lensing Cluster Survey). RELICS imaged 41 massive galaxy clusters with the aim of finding the brightest distant galaxies for the forthcoming NASA/ESA/CSA James Webb Space Telescope (JWST) to study. 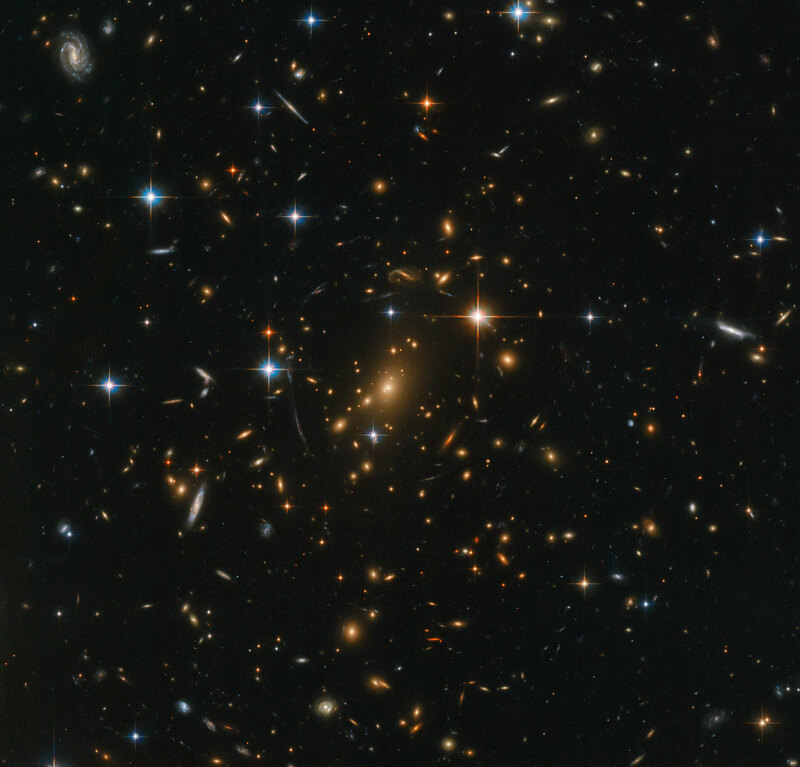 Be the first to comment on "Spectacular Hubble Space Telescope Image of Galaxy Clusters"